On Friday evening the Dodgers dropped the second game of the four game series at Chavez Ravine to the Cincinnati Reds (the worst team in the National League), and looked every bit as awful as they’ve played this year. They’ve scored just three runs in this series against one of the worst pitching staffs in all of baseball. 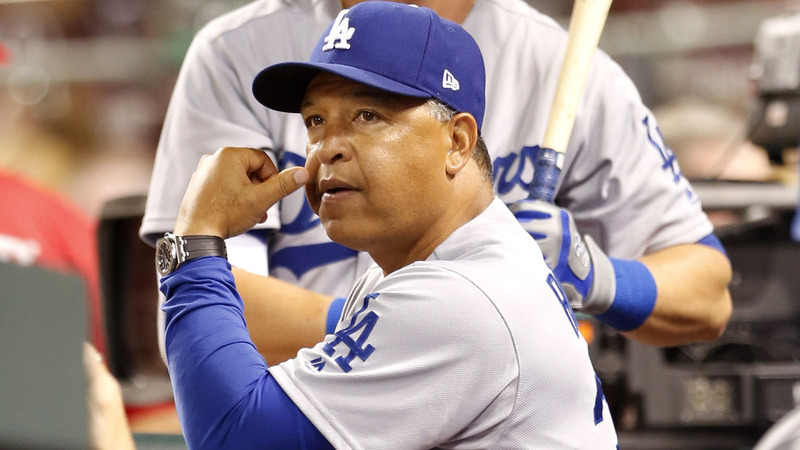 The consensus across social media has not been favorable for manager, Dave Roberts. There are a lot of people asking for Roberts’ head, and not just on social media. I can understand a lot of the criticism. The Roberts hate-fest began with his tactical blunders in last year’s World Series. They’ve continued into this season as well. I’m not trying to say that Roberts has been great this year, because he hasn’t. He’s had a poor year overall in regards to his game management. His bullpen management and lineup creation have been lackluster. But before you totally throw Roberts under the bus, remember this: Roberts didn’t build this terrible roster. The Dodger’s roster isn’t deep, it’s actually horrible. And Roberts isn’t the guy who built it. He has to play the guys he has. I remember back in 2011 when the Dodgers were horrendous and entrenched in the bottom of the National League West. I actively called for Don Mattingly to be fired. Mattingly’s game management was bad and I posited on twitter that he was a poor manager and possibly a big reason for the poor results. This roster is arguably just as bad as that one was. The reactions I got from many surprised me. People scorned me and attacked. They told me that Mattingly wasn’t responsible because he was not the guy that constructed the roster. Ned Colletti was the scapegoat, I was told. Poor Mattingly was the victim in all of this, stuck with a crappy roster of mediocre players. The support for Mattingly was larger than I expected. There were a fair amount of people who wanted Mattingly to be axed, but the overwhelming amount of hatred for Colletti was bigger than I could have imagined. Eventually both men were given pink slips, with Coletti remaining with the organization in a different capacity. In the present day, Roberts has been getting roasted, while Zaidi, Friedman and the rest of the front office generally gets a pass by many people. So I ask this, If Colletti was at fault for building a poor roster back in those years, then why isn’t Zaidi/Friedman being roasted? Why is most of the blame going to Roberts, when he clearly did not build the roster? Because let me tell you, it was not Roberts who signed Brandon McCarthy to a 48 million dollar deal. It was not Roberts who let Tony Watson and Brandon Morrow walk in free agency. It was not Roberts who traded for Scott Alexander, or employed Wilmer Font. It was not Dave Roberts who signed Scott Kazmir, or acquired Chris Hatcher. It wasn’t Roberts who traded for Curtis Granderson, or claims that Tim Locastro and Breyvic Valeraare “depth”. They’ve bet on long shots, and lowered payroll the year after the team won the pennant. No, the terrible roster this year is not the fault of Dave Roberts. I’m not saying that Roberts hasn’t had problems. He brings in the wrong pitchers at the wrong times, and uses up all of his pitchers/hitters by the ninth inning in most of the games. Honestly though, all of the relievers in the bullpen this year are wrong anyways. Who actually thinks that Kyle Farmer and Austin Barnes are a World Series caliber infield? All I am saying is that the front office is just as equally to blame, maybe more for this pathetic season as Dave Roberts. So the next time you get angry at Roberts, just remember that he didn’t build the roster. Andrew Friedman and Farhan Zaidi built this winning roster.